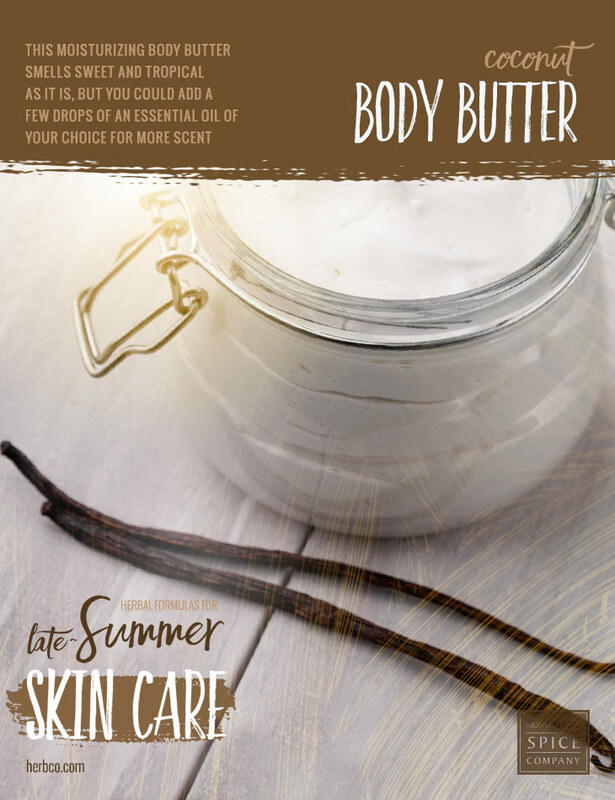 This moisturizing body butter smells sweet and tropical as it is, but you could add a few drops of an essential oil of your choice for more scent. Suggestions: vanilla, lemongrass or mint. Combine the cocoa butter and beeswax in the top of a double boiler and carefully melt over low heat. Slowly add each of the oils, stirring to blend. Once all the ingredients are incorporated, pour the mixture into a clean, glass jar. Let cool completely before capping.